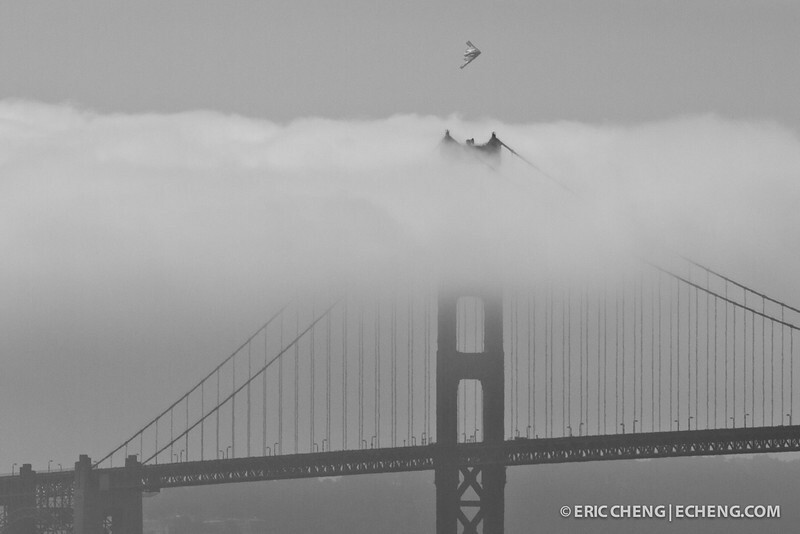 A B-2 stealth bomber flies above the Golden Gate Bridge. Fleet Week in San Francisco, CA. October 8, 2011.